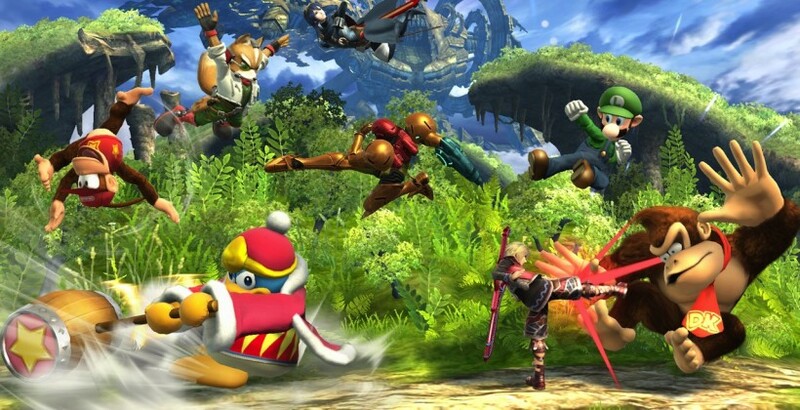 So what’s different about the Wii U’s Smash Brothers that is giving Nintendo all of those sweet theme park perks? As a bedazzled Mel Brooks once yelped, “Merchandise!” The amount of crappy hats, t-shirts, sparkling gizmos, and downright crap sold at Disneyland kiosks and Universal Studios’ gift shops is staggering. Some of the biggest theme park sales margins aren’t at the ticket gate. If the Big N would only whip up a Star Fox nacho maker, they’d barely need to make any new consoles. 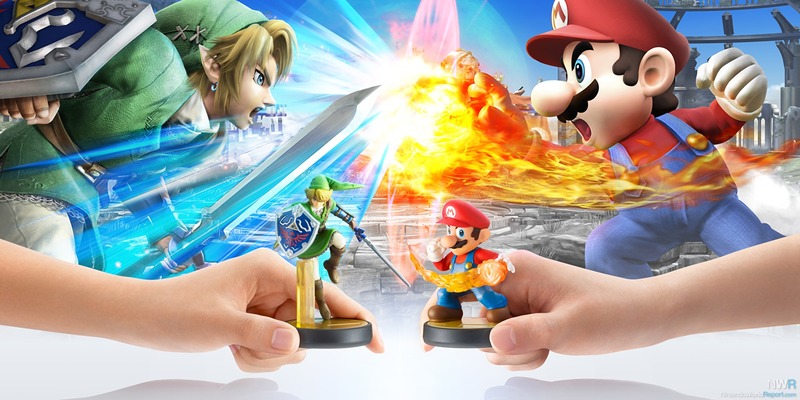 But the collectible, character-based Amiibo figures that can interact with Super Smash Brothers represent a uniquely Nintendo type of gold mine. Activision brought us Skylanders and Disney took us to Infinity (if not yet beyond) before this, but the Amiibo is the result of the Big N’s century-plus of toy making knowledge. People forget that prior to home entertainment, Nintendo was started as a card company. Selling and re-selling cheap goods is in the company’s blood. We’ve seen this console-manufacturer try a handful of gimmicky toy add-ons to their profitable systems, with more failures than success. R.O.B. the robot helped get the NES onto American shelves, but the Power Glove was only good for a catchphrase in a cheesy 80s movie. Things like the Virtua Boy did not help matters. But in 2006 Nintendo had a success that should be studied in business schools for the next few decades. The Wii, billed as an all-ages fun device, took shoddy motion controls and made a mint that the company is still living off of today. Bubbly marketing campaigns and word-of-mouth from amused grandmothers put Nintendo on top of the hardware sales charts for the first time in over a decade. While the Wii U has seen a tremendous drop in comparison, the Amiibo may be Nintendo’s greatest add-on yet. It took what worked for Skylanders and (in particular) Disney Infinity, that being high-quality collectible toys reliant on a popular brand, and gave it a Nintendo spin. After all, many financial analysts have argued one of the keys to the Wii’s long-term sales success was quality software, but market control. Nintendo learned how to limit its supply of Wiis to just enough to sate immediate demand. By the time the next shipment had been manufactured and shipped, those that missed out had just enough time to hear of the initial fun everyone was having and put in a preorder. The Amiibo is the next evolution in that exercise, an ever-increasing line of collectibles with just enough shipments to satisfy first-comers and Ebay resellers. There will never be a Nintendo-World If all Disneyland had was rides, tickets would be $400 per day. Running a dozen rollercoasters, four controlled water-rapids, and the acreage itself is a huge financial undertaking. Especially for companies without the revenue from a few cruise lines and the Star Wars license. Periphery sales and cross-promotional benefits are what has kept fiscal sinkholes alive, from Universal Studios to Knott’s Berry Farm. 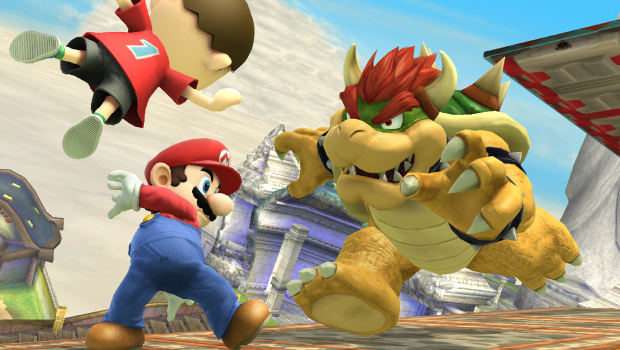 Super Smash Brothers for the Wii U and its affiliated Amiibo line is Nintendo’s theme park. The Big N has made its best decision in years, using the marketing tactics that kept the Wii on top for years to create a potentially long-going stream of revenue. The evolution of Smash’s cross-promotional nature has made it perfect grounds for add-on merchandise, the kind of impulse-buy, complementary good manufacturers dream about. Now if Nintendo would just let the cereal-makers back in. I know for a fact that there is a market for Super Smashmallow O’s.